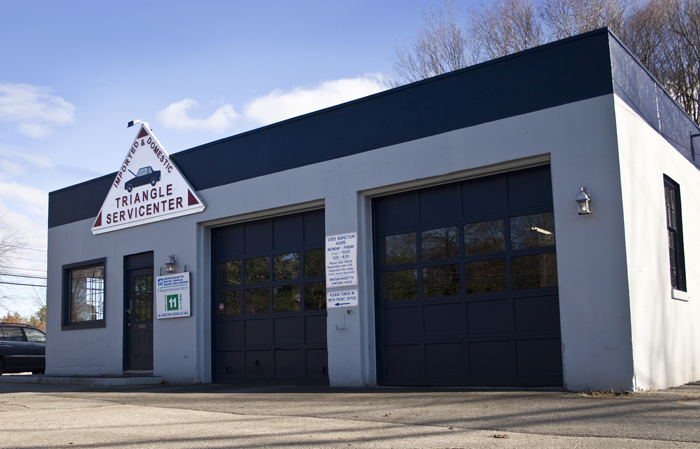 Triangle Service Center, Inc. was established in October of 1978 at the intersection of Concord and Boston roads in Chelmsford, MA. Many longtime residents remember that spot as the Harvey Texaco station. After five years of strong gasoline and repair sales the pumps and tanks were replaced to keep up with the demand and to conform to EPA regulations. At that time the brand of gasoline was changed to Sunoco. Soon after the tank and pump upgrade the building was doubled in size to accommodate the ever growing repair sector. Due to new environmental regulations, the gasoline tanks and pumps were removed in 1990 and the main focus of business became repair and maintenance of domestic and imported vehicles. All our technicians are ASE (Automotive Service Excellence) certified and some hold the distinctive L1 rating. 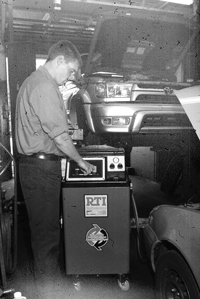 We are a Certified Registered Emission Repair station which can diagnose and repair any of today's more difficult emission failures. Our Massachusetts Inspection Station is equipped to handle any vehicles listed up to 10,000 lbs. gross vehicle weight. & car repair needs of the future.